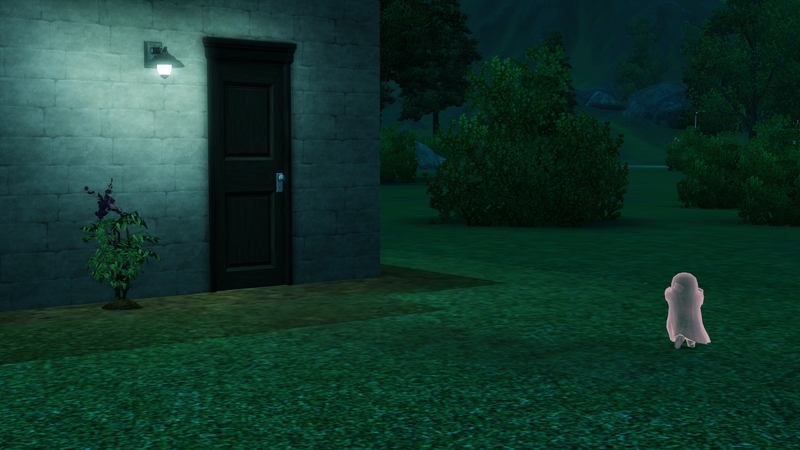 The new town Moonlight Falls is crawling with supernatural beings. 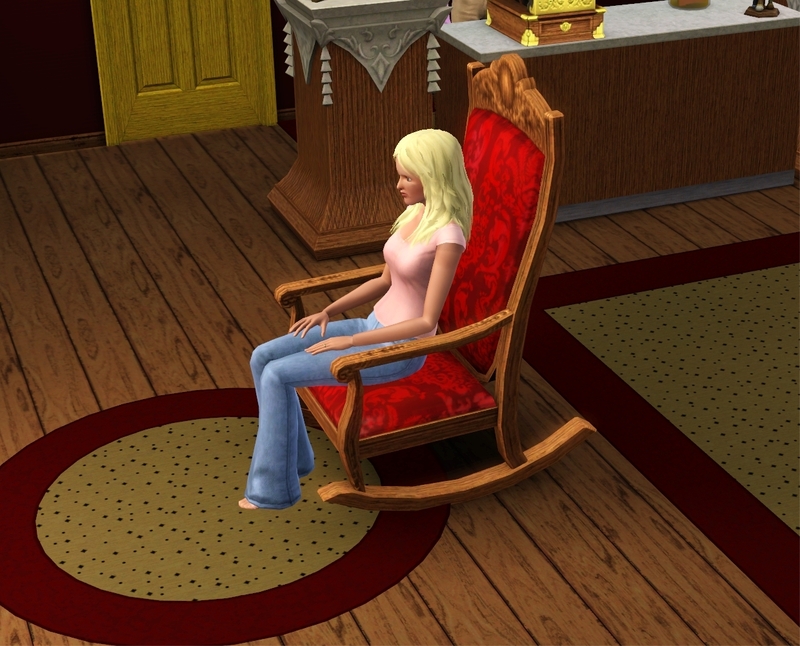 There are fairies, werewolves, ghosts, witches and vampires but also a few normal Sims. You can meet the three Goth ghosts Samuel, Frida and Olivia, the family Wolff (werewolves of course) and the Crumplebottom Witches Beatrice, Belinda and Bianca. 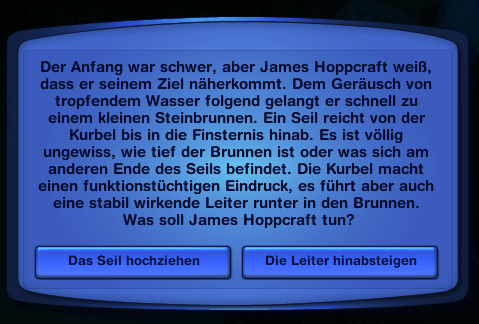 There are a few flat-sharing Sims, the Singhs, McDuffs, Knopfler, Ivy, Grimm and what their names are (note that the names are from the German version of the Game). They are great to test them out before diving into your own game. The landscape is rather flat which leaves lots of rooms for your own lots – unfortunately this makes the town a little empty-looking. 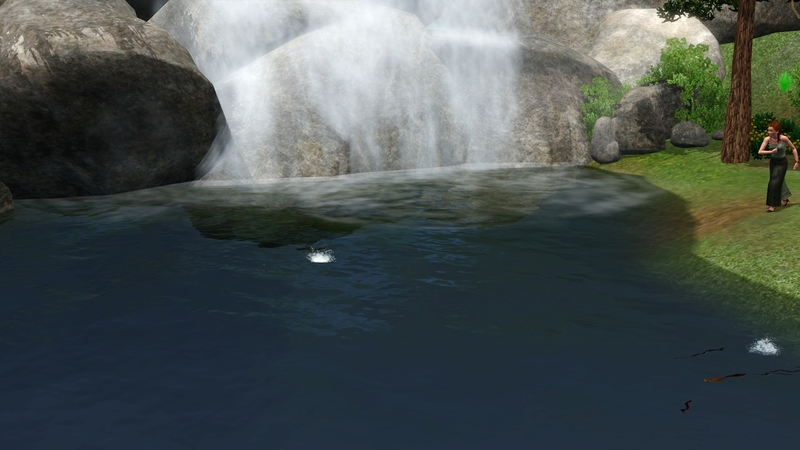 Moonlight Falls has many double rabbitholes to save room, many parks – some of them still empty – and of course some fishing spots. 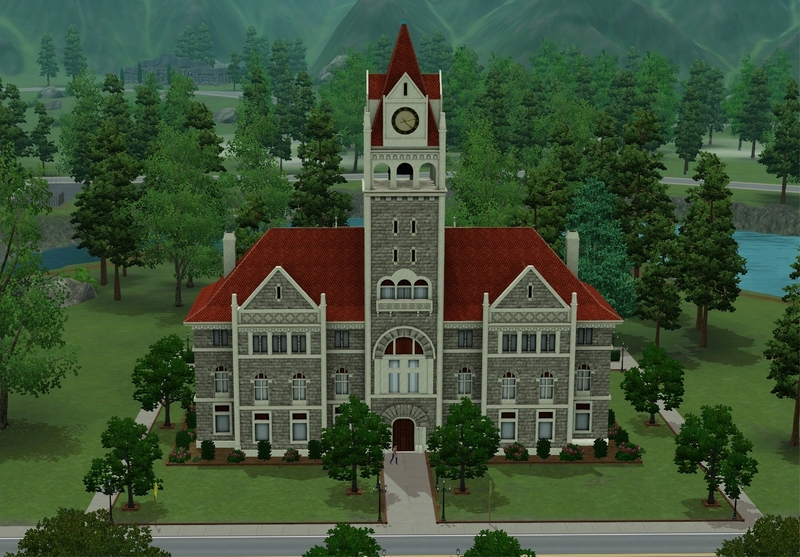 There are new rabbitholes like the arboretum and a Alchemy building. There’s a store to buy elixirs and new supernatural hangouts. The hangouts do not contain any late night objects since the town is focusing on own Add-On only. 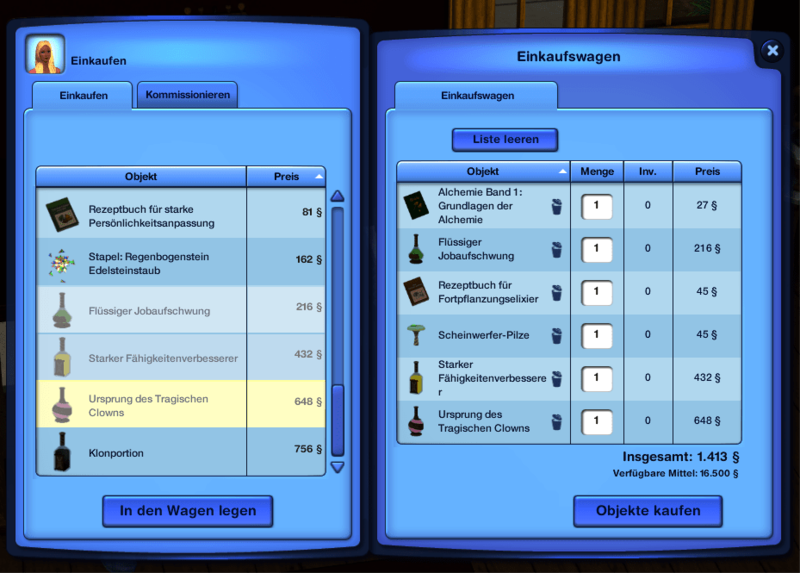 We were not able to test if the buildings from other expansions are placed automatically, since only supernatural was installed on the demo machines. 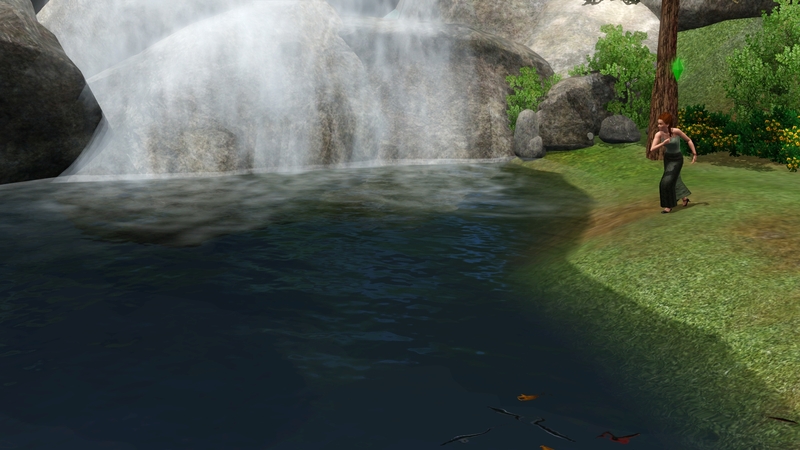 Sims have a new interaction to skip stone on all ponds and lakes and my witch of course tried that out. 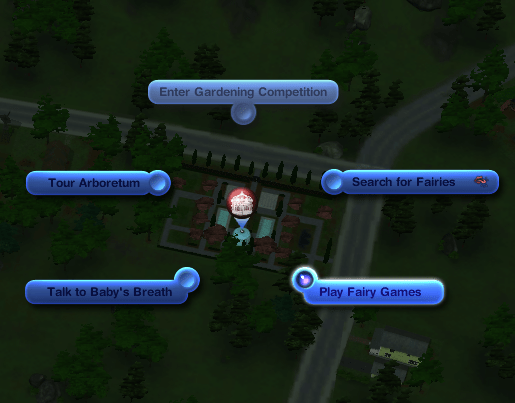 Playing fairy games gave my witch sim a positive moodlet. The alchemist building offers different ways to learn the art of mixing elixirs. I wasn’t able to test out all of them. 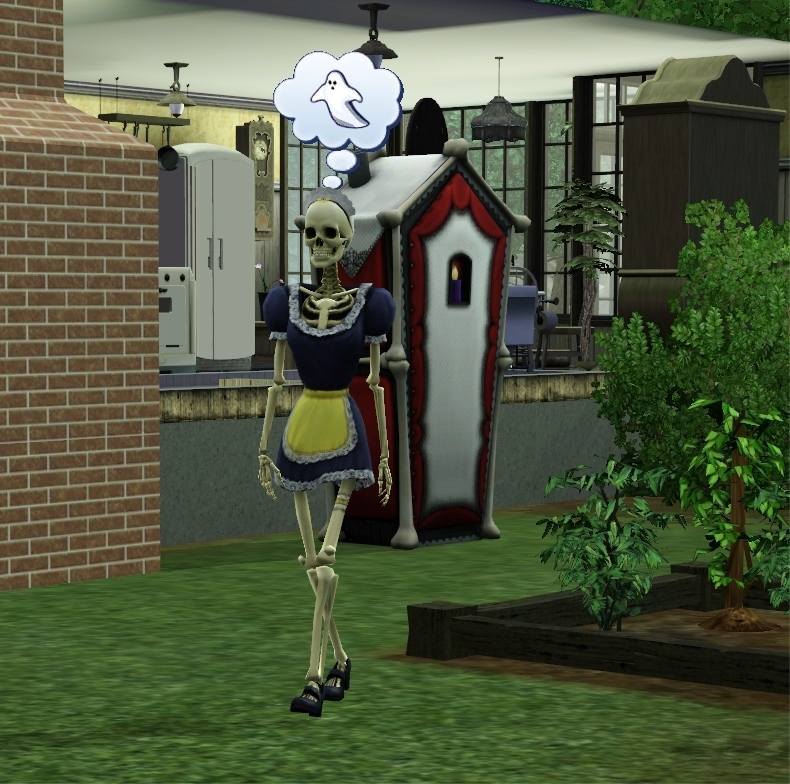 Alchemy is open to every Sim (even Zombies). 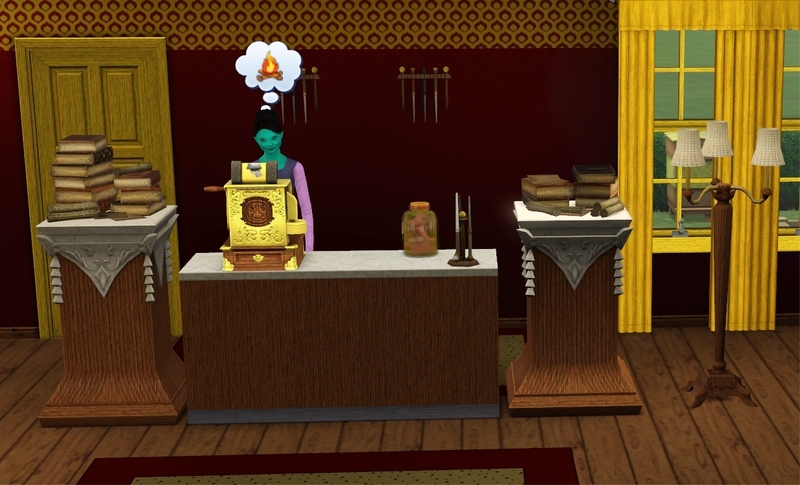 In the alchemy store you can study and mix potions yourself on the big alchemy table or simply buy them at the cashier. Once you have an elixir, you don’t need any special knowledge to use it. To make your own elixirs, you need to have the most of the ingredients in your inventory. They are not provided. You can find them around town or plant them yourself. 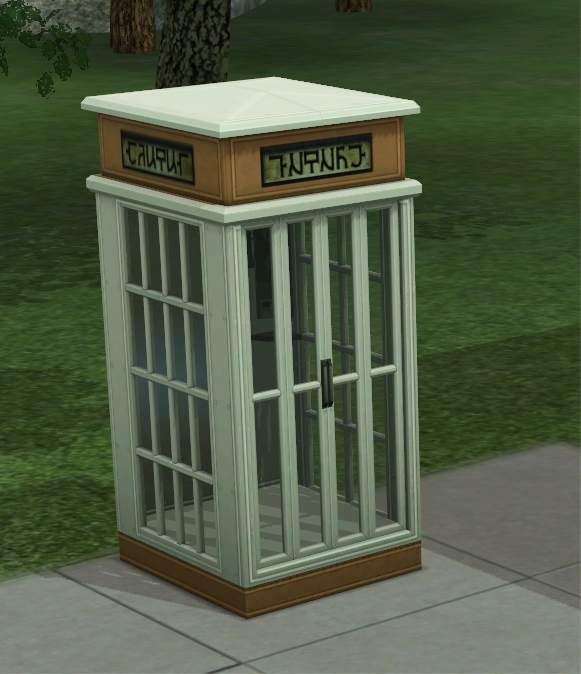 Apart from a few creature-specific objects there’s quite a lot new stuff for your Sims. Going to the supernatural hangouts you find a machine where you have to hit little creatures fast with a mallet or you can get yourself a goodie out of the gripper arm. Both are free of charge. If you like honey, you can buy beehive or go to the ones that are already available around town. Honeycombs can be used for alchemy also. 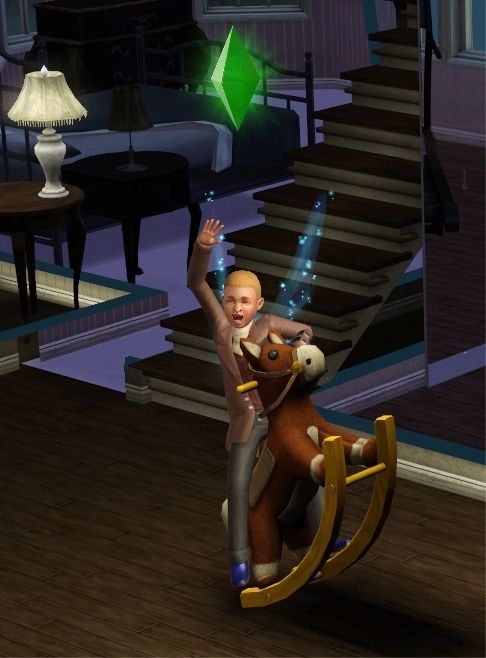 Adult Sims will enjoy the comfortable rocking chair while the little ones can ride rodeo on the rocking horse. There’s good news for collectors of gems. No more sending in gems for tons of money to have them cut. 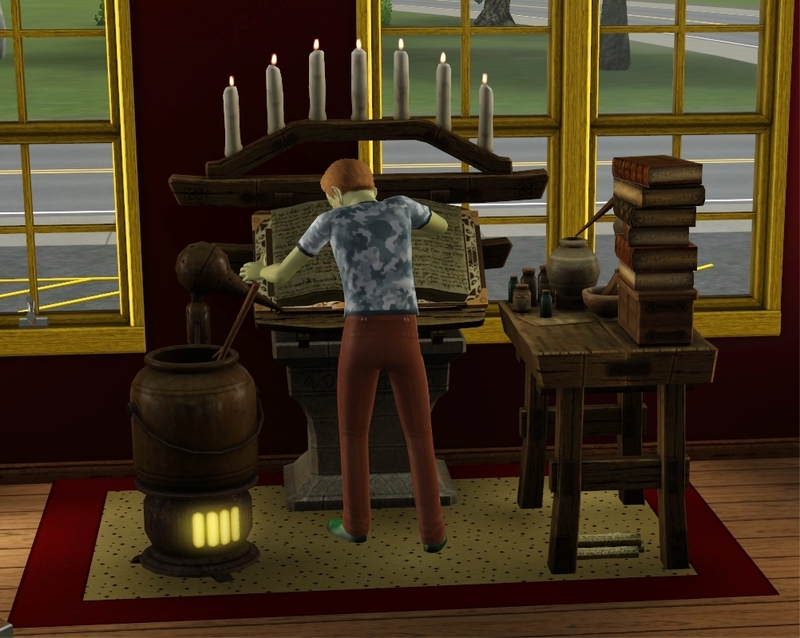 In the alchemy store there’s a machine which does that for free (you can also place it on your lot of course). The machine also makes gem dust which you need for your alchemy needs. 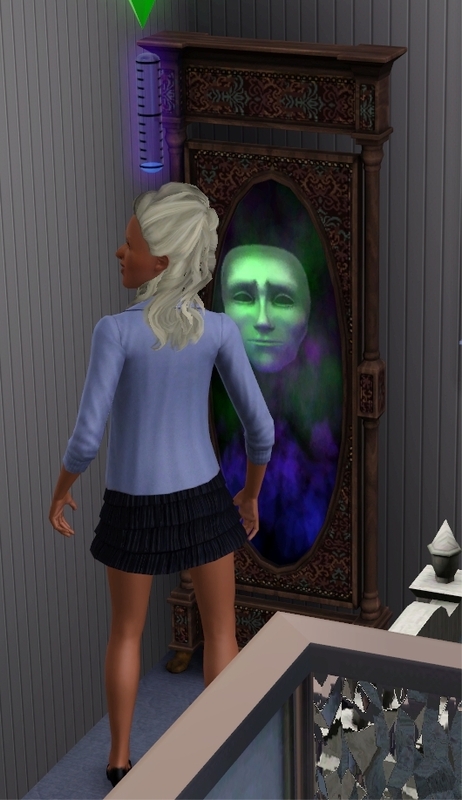 Sims who don’t get out that often can now talk to the magic mirror which also has the ability to magically style the Sim. As a bonus it improves your charisma. 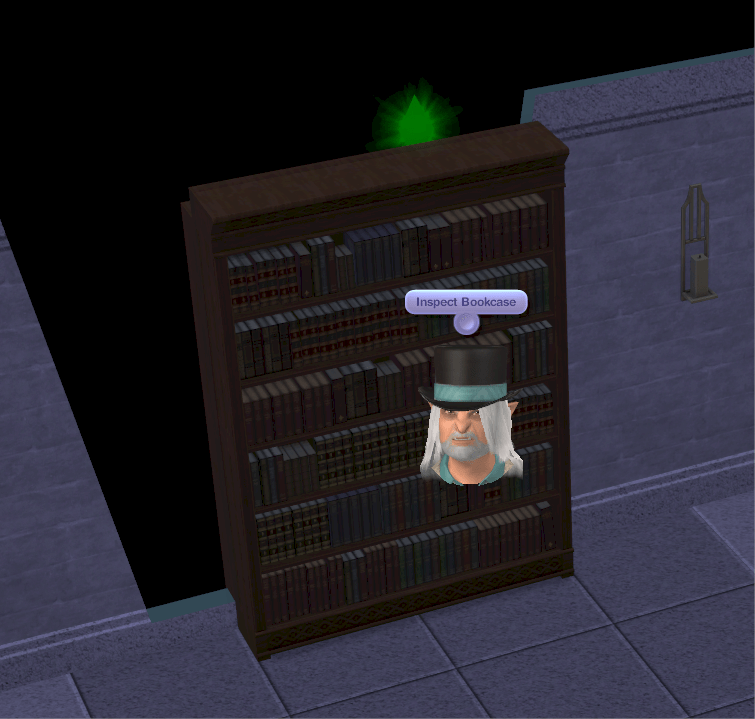 For secretive sims theres a door that looks like a book case so you can create a hidden room behind that. The jelly bean bush is something to be careful with. 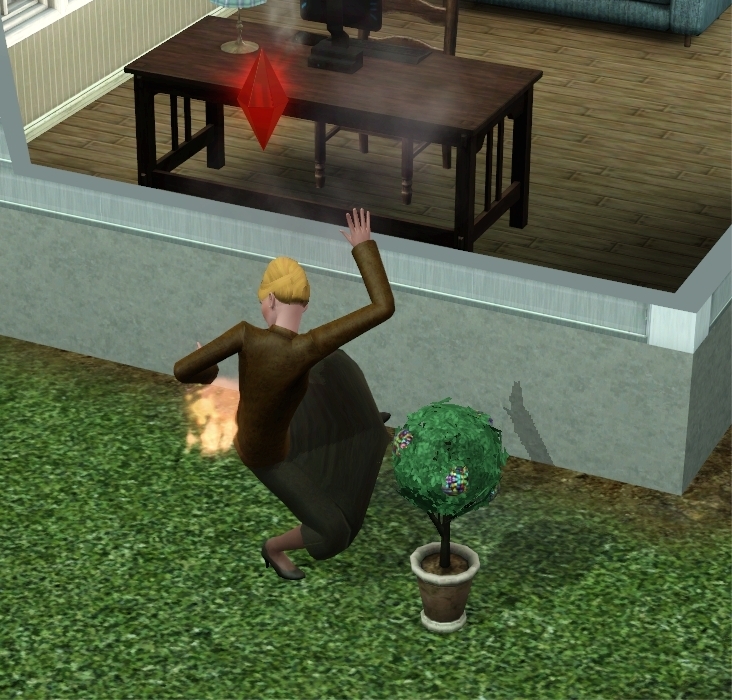 My sim put one in his garden and ate many jelly beans. At one point she caught fire and died a horrible death. There are many new effects most of which give you a moodlet but there’s also a new death called jelly bean death which does suggest that eating too many can be deadly. 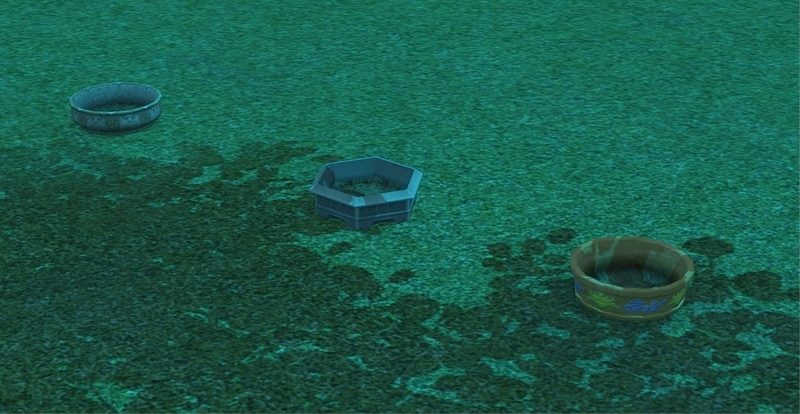 Sims (including zombies) do like them very much and eat autonomously. 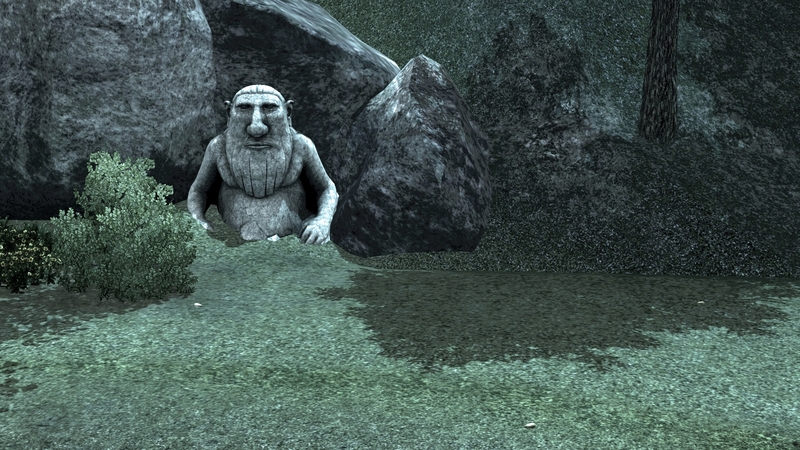 New ghost gnomes. They are so very cute. Also new teddy bears. 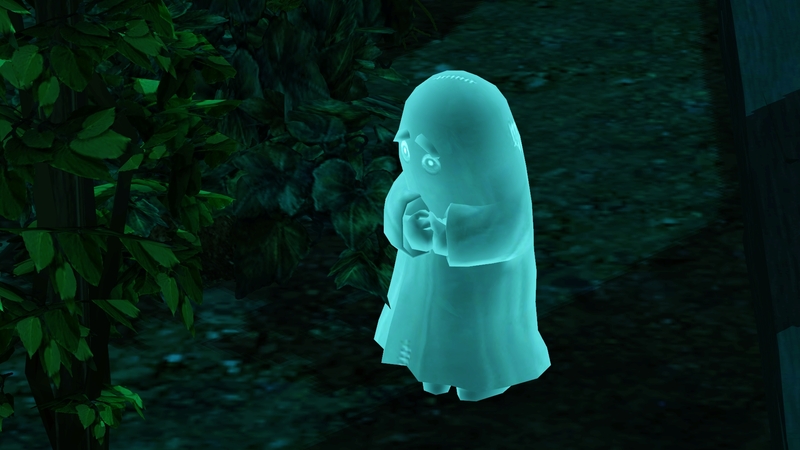 The ghost gnomes appeared when a witch died in the household. 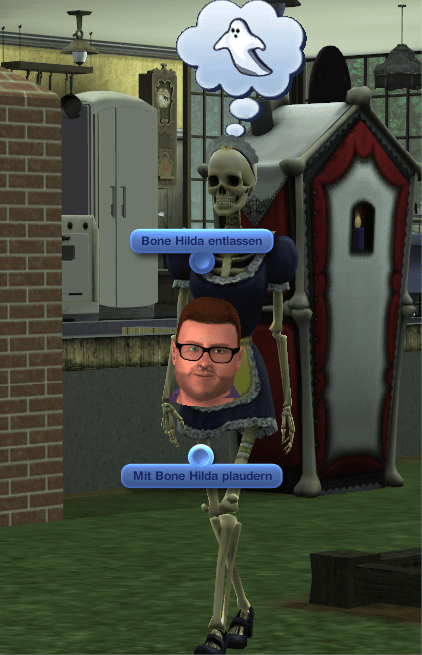 Bonehilda makes a return to the game. She comes with her own little house which you can buy in buy mode and place on your lot. You can’t interact with her a whole lot, except talking and get her in and out of her house. Placed in your home, she does chores around the house like taking care of the baby, do the dishes or repair the sink. 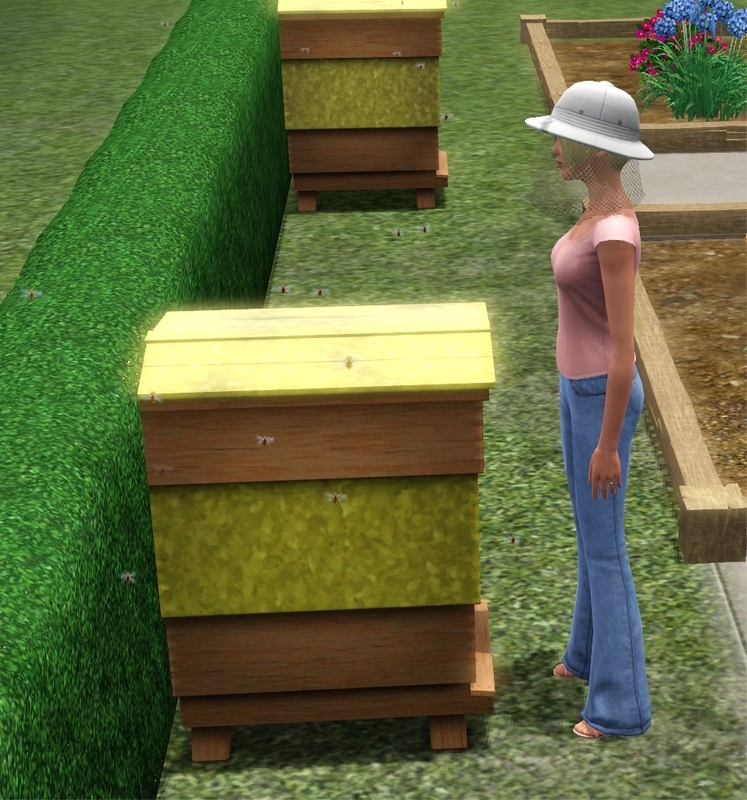 I have not seen her do the gardening but she seemed kinda lost anyways when I placed her house outside. New plant pots will help your plants to endure the hard winters we’re getting with Season. It took us quite some time to figure out how they work (yes, almost everyone there chipped in an idea). Trying with apple seeds like I did will get you nowhere cause you can’t plant trees in there. 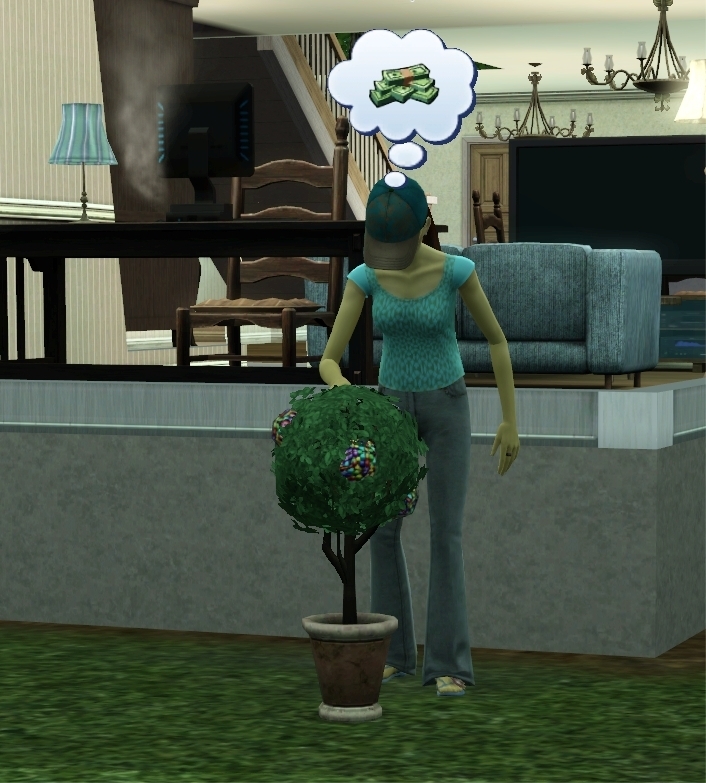 Everything else can be planted as soon as your Sim has a high enough skill to plant. Simply drag the seed/fruit over the pot and it will be placed within. You can then move the pot and the plant from place to place. There are many other objects. On another site I’ve seen a magic 8 ball but I didn’t check that out. 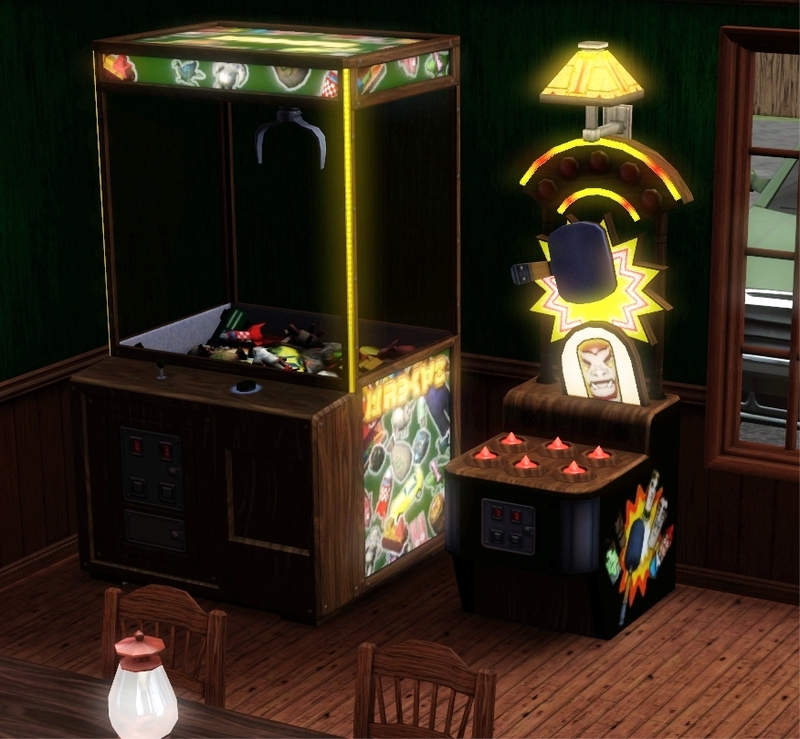 Pictures of most objects can be found at Blacky’s Sims Zoo. 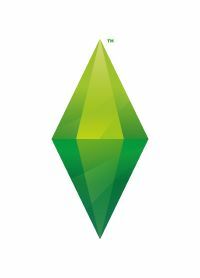 Apart from the new skipping stone interactions, Sims can now play rock-paper-scissors but apart from winning a game, I couldn’t see anything special about it. There are new trait specific conversational interactions like Express disbelieve in fairies or Fancy about witch hunt with which you can make friends and enemies. Some beings can be asked for protection but I couldn’t figure out what that does. 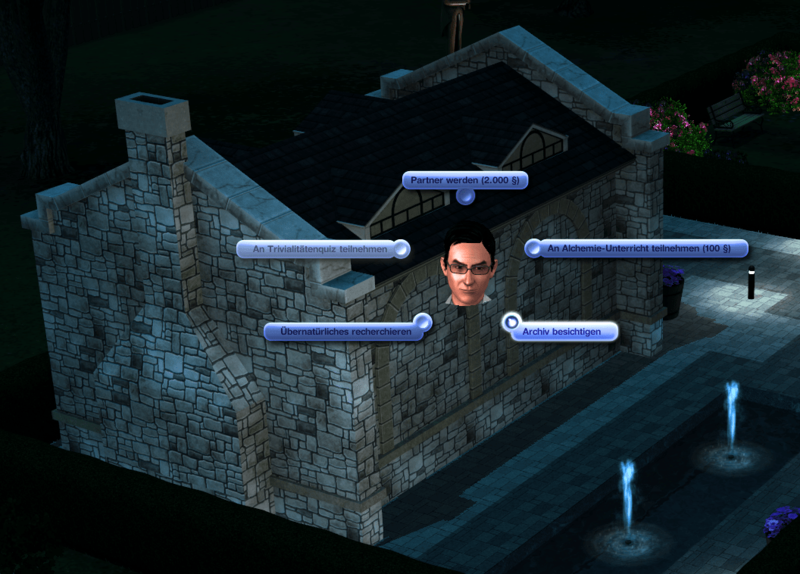 Like widely discussed you can create most supernatural beings in CAS. If you make a ghost you can even choose their type of death (New: similish statue, failed spell, transmutation, jelly bean). The only creatures you can create from older EPs are genies and Vampires. There are many new hairstyles, skins, tattoos and clothing. 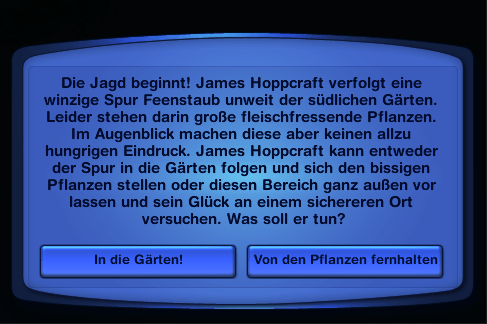 Pictures can be found on several German fan sites, including Blacky’s Sims Zoo. You can change the fairy wings size and color and werewolves come in two different forms which both can be changed individually. 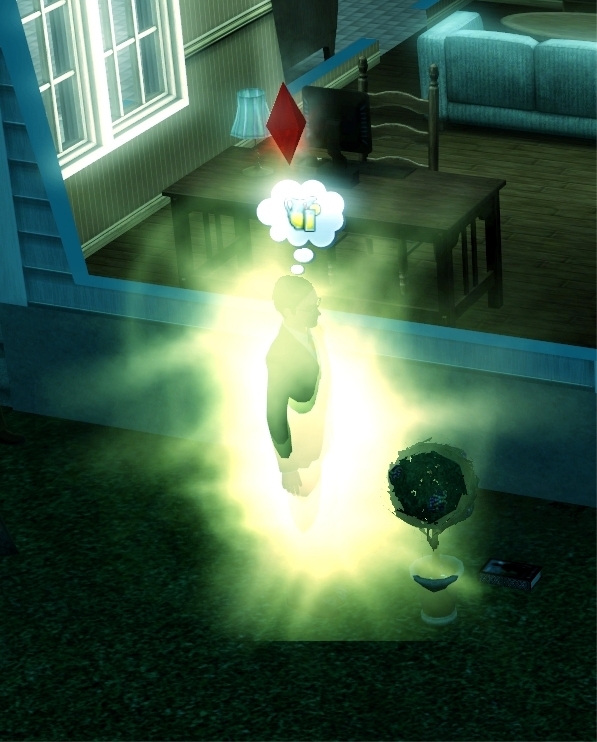 There are new lifetime wishes and traits but I don’t wanna go into detail. There is one new career. Everyone can join and from level 6 you can decide if you want to go the mystic way or choose fraud. Like most work places, there’s a new rabbithole for the fortune teller. 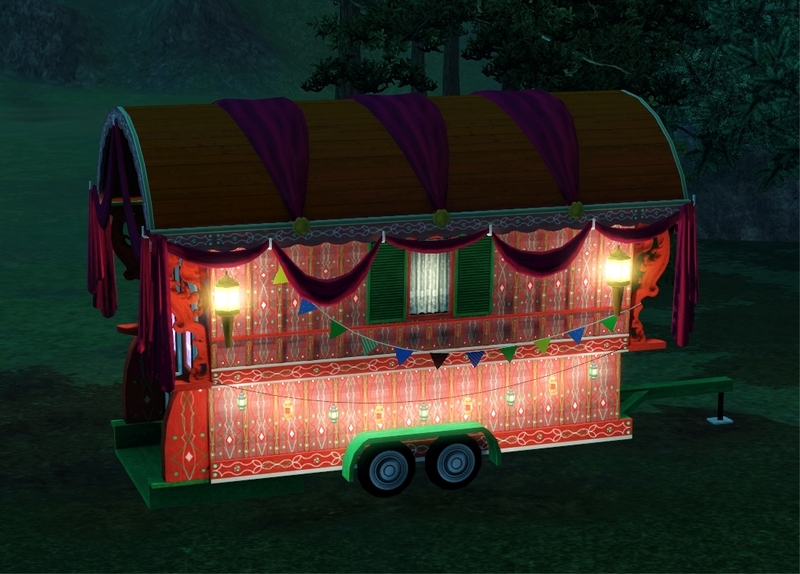 The gypsy wagon also offers an opportunity to have your fortune told but it’s very expensive and after the forth window without any info and asking me if I wanted to continue, my Sim left. You can also woohoo here or become a partner. Thanks to Moderator_Gagea, Moderator_Anna, BlackyPanther and other fan site members for sharing pictures and info. Sometimes it wasn’t easy to know which pictures are yours if they hadn’t been deleted from the computer). 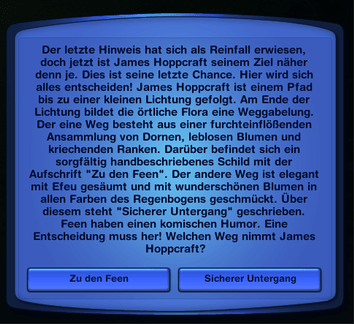 There was only one PC with the English version installed and that was mostly reserved for the french and dutch people so the interactions can be named slightly different in the actual english version and that’s why most of the pictures are in German.